Here's a list of 10 games that I liked the most in 2010. It's a game made by Jonatan Söderström, swedish game developer known as Cactus. 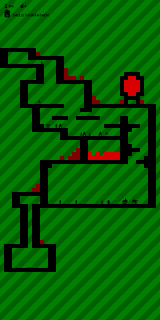 He did it for BTH Game Jam, so it's a bit rough on edges. Maybe I'll pick that idea up someday. That's the idea: you are an agent and in your missions you have to destroy some debris in enemy HQs (?). You have a laser and some bombs, but your supplies are always very low. There are some containers with destructive red liquid (lava?) though... So you have to carefully destroy some walls (with laser and bombs) and let that liquid flow, destroying everything in its way. It's hard, unforgiving and interesting. Now that's an RTS stripped down to its fundamental mechanics. No resource gathering, just moving your units and battles. You have a base that spawns a bunch of "units" (pixels, hence the title) in short amounts of time. And you have to destroy your enemy's base. Simple? Yes, and very addictive! 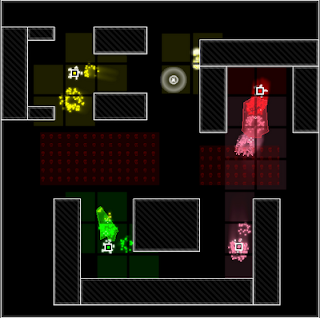 Later levels introduce some interesting twists to the original idea. However I didn't like that retro-pixel theme, I think it would work better with a non-abstract theme. A clever game that messes with the player. It uses a standard platforming mechanics... at least it pretends to do so. I don't really want to spoil anything, so just see it for yourself. You can beat the game in under an hour. It's a very polished point-and-click adventure game that happens to have some striking visuals. It's all made of clay and cardboard, and it looks gorgeous. But there's some intriguing story too (very good writing!). 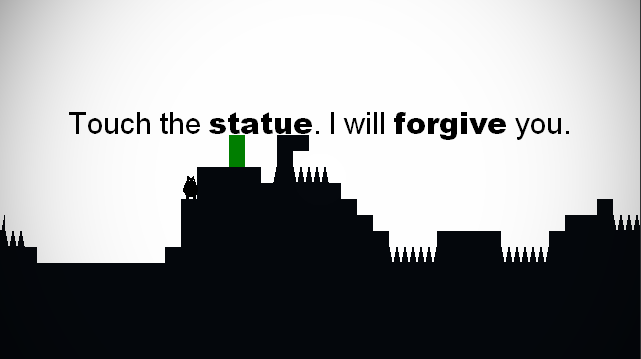 "An epic, endless, procedurally generated tale concerning towers, and the climbing of them." - original description. I like every game that has the word "procedural" in its description. And that one is actually very well designed. 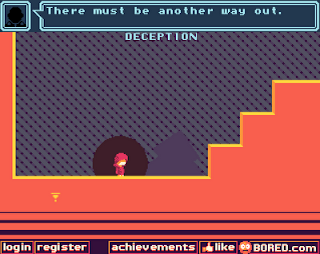 It's a platformer in which you climb an endless tower. 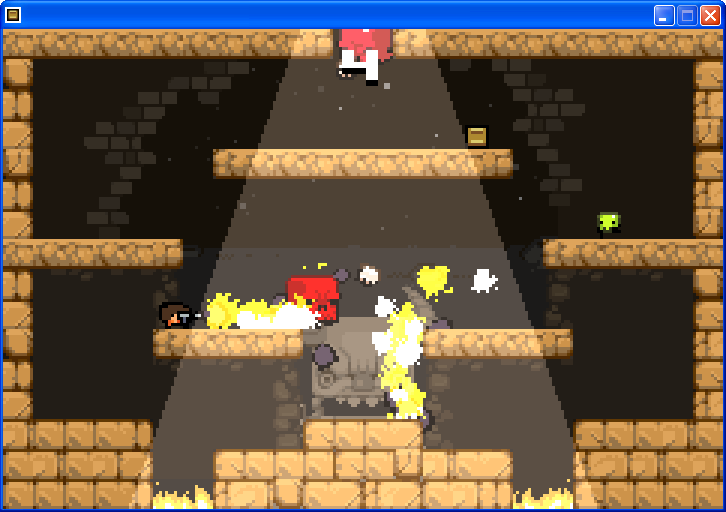 You have some potions that allow for double-jumps (to get higher), destroy some blocks and to teleport yourself. But they need to be used wisely, because it's not so easy to get another ones... Your only goal is to get as high as possible. 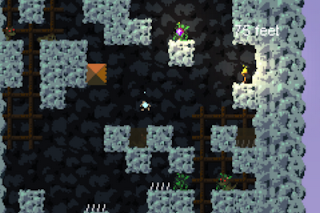 It reminded me of the great Spelunky in some way. How about a roguelike for casual players! It may sound impossible, but the game does it. And boy, it does it so well! You pick a class (Fighter, Wizard etc.) and start in a random dungeon. The whole dungeon fits on one screen. 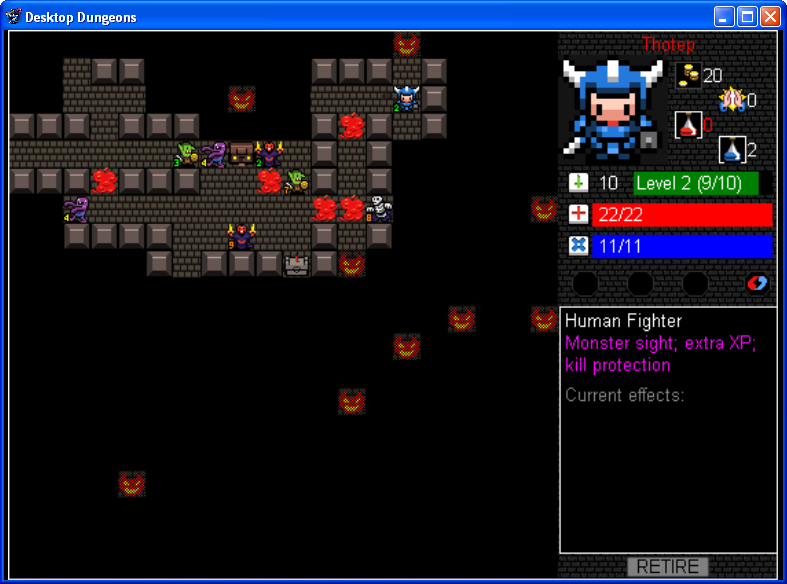 You uncover it, fight some enemies, gain levels... Standard roguelike gameplay (but very simplistic). The goal is to defeat a lvl 10 boss. 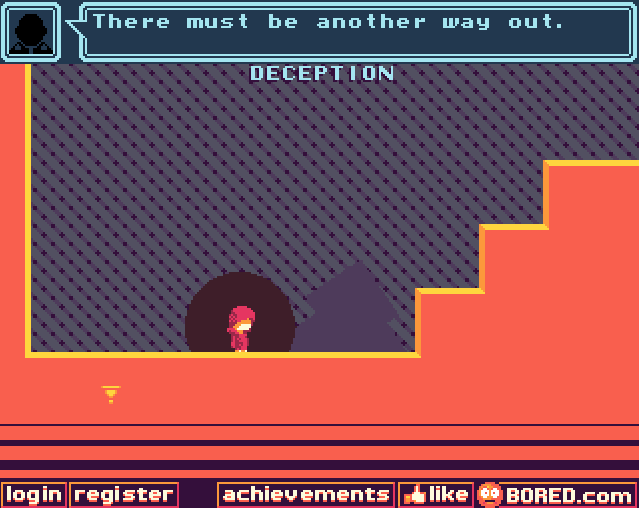 At some point all your path will be blocked by higher-level enemies - then the game transforms into a logic game. You can use spells to help yourself or modify the dungeon a little (teleport an enemy, break the wall), there are also altars that can give you some bonuses. Finishing a level unlocks new character classes, dungeon types etc. I love games like that; where simple rules lead to rich gameplay. I don't even remember how I stumbled upon that gem. Don't be fooled by simple visuals, this game is well-thought-out and polished. You have some units and there are some enemy turrets. Every unit has 10 seconds to do something (move, shoot). You move one unit, its actions are recorded and you move on to another one. After a while you'll have a plan for every unit - and they destroy enemy turrets in 10 seconds. That's a great idea and it's executed really well here. Just watch the video above to get the concept. 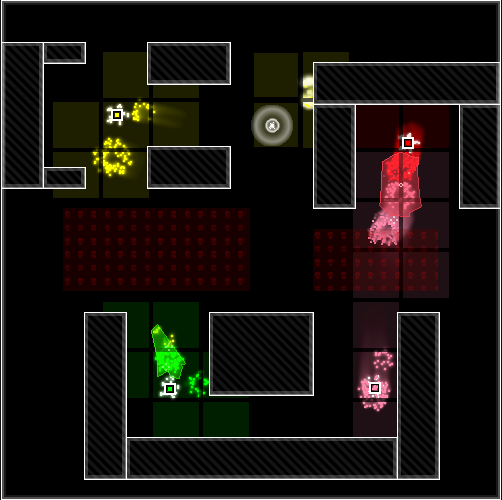 Later levels introduce many additional twists. Higher scores unlock some additional weapons, levels and so on. It's very addictive! 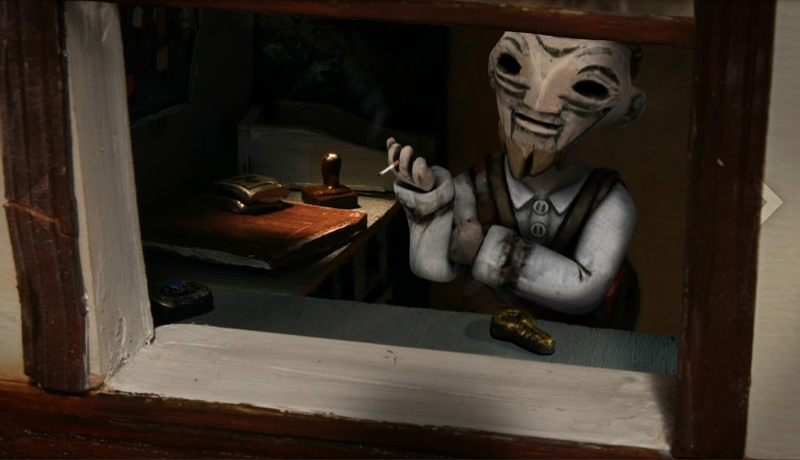 I want to write much more about Amnesia in some future post, but here's the long story short: it's the best horror game ever. Ever. No, it's not a "horror" like Doom 3 or F.E.A.R., where something jumps at you from a dark corner, you scream, then shoot and reload. It's much more like Thief - The Dark Project. You will feel constant tension and - sometimes - true terror. Download the demo and buy the game at http://amnesiagame.com/. It is also available on Steam. Well worth its price! Ok, that may be a surprise, but it's the best game I played in 2010. Loved is a small game by Alexander Ocias, you can finish it in about 5 minutes. And then you sit and think about it. Yes, it's a game that made me THINK about itself. That's not a common thing in video games, but it's very common in art. I recommend playing it a few times, you'll get more out of it. I have my own interpretation on what's this game's about (interpretation of a video game, holy crap! ), but I won't say anything - try to find your one! Loved lasts 5 minutes and provokes some deep thoughts. Call of Duty lasts 8 hours and leaves you absolutely untouched. What are you doing, game developers and designers? Don't you want to give players more than just fun? And what did you like in 2010? 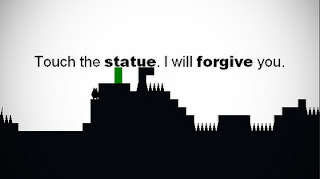 3 Response to "10 best games of 2010"
You're right, But that was yesterday deserves a honorable mention. PvZ was released in 2009 (on PC).